As you might know, we took our kids to Disneyland for the first time in February, thanks to my generous parents providing everyone's park passes as a family reunion/Christmas present. I hadn't been to Disneyland since I was a kid, and hardly remembered it. I was SO excited, but SO intimidated for so many reasons! What to pack? How much will it cost? Where to stay? Is it possible with a newborn? Can we afford it? We will start with PART 1: What it Costs, and how to afford it. First, a slight disclaimer: I am a Disney newbie and don't claim to be an expert by any means. However, many many hours of research, info from Disney experts, and personal experience concluded in lots of fabulous tips. We went to Disneyland in Anaheim, CA so that's what I'll be covering. We have 4 children, ages 5 to newborn. So while my personal experience was for adults & young children, many tips are general enough that you can make them adapt to YOUR family situation! 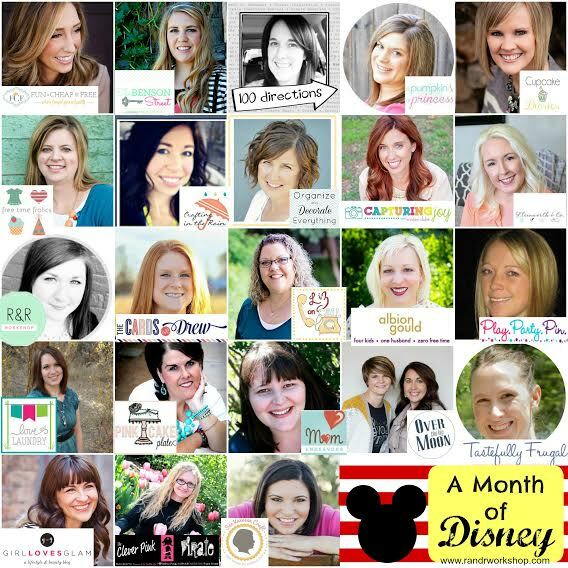 Oh and no, this post isn't sponsored by Disney – Disney doesn't even know I exist, actually. Yeah, I'm kinda sad about it. WARNING: These posts are LONG and WORDY! But I hope the endless hours I put into it answers every question you could ever have. Let's hope! That being said, let's get on with it, shall we? 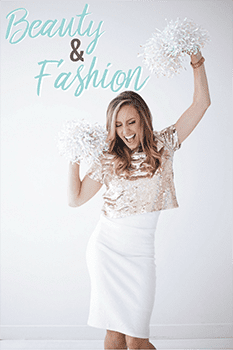 PART 2 covers packing, travel, and all things prep. Part 3 covers everything you need to know about life inside the parks. See them all in one place on my Disneyland page! Check out this FREE vacation planning DVD for additional details HERE! Ready to jump in?? Let's get started! 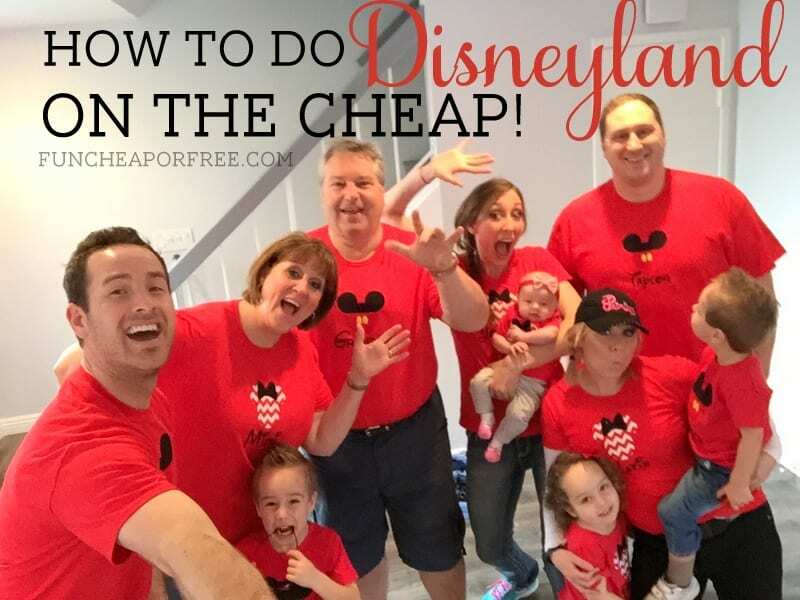 There is no “on the cheap” when it comes to Disneyland. If you're going to do Disney, do it right, do it well, and plan properly for it. If you want a “cheap” vacation, camp in your back yard. Nothing wrong with that. In fact, that sounds like some pretty amazing memory-making to me. But if you want to do Disney (I mean, who doesn't?) 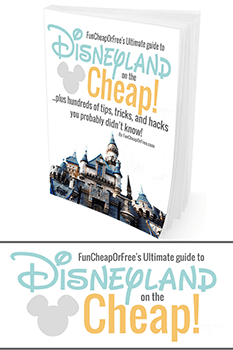 just be sure you have a realistic expectation of what a trip to Disneyland – no matter how simple or extravagant – will do to your bottom line. …for every dollar spent, something has got to give somewhere else. The good news? Disney isn't going anywhere. In fact, it gets better every year! And (spoiler alert), I think it's even more fun for older kids than it is for super young ones like mine. “Doing Disney right, and getting the very most out of every dollar”. Capish? Sweet. Now let's get to the nitty gritty! Let's start with the basics – park passes. (Again, talking about Disneyland and California Adventure in Anaheim, CA in these posts. Just check online for other Disney park costs.) As mentioned, my parents bought the park passes for our entire family so we could all gather for a family reunion of sorts. (Generous, right??) We did 3 day passes with no park hopper (full details below). For the sake of this post I will break down cost as if we had purchased them for our family. Note: Their prices do change about once a year, so visit their website for the most update pricing. Kids 2 and under are free which helped eliminate 2 tickets for my family. Another thing to consider when planning the budget for your Disneyland trip is a layaway vacation package. Get Away Today is the top of the line when it comes to Disney packages, and their layaway options make it possible to pay on your vacation month-by-month. 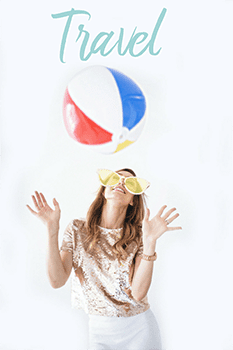 Check out their site to get the details on how it would work for you, and your vaca! With Magic Morning you get to arrive at Disneyland park 1 hour before it opens to the general public and you can use one Magic Morning per ticket. It only works on select rides, attractions, restaurants inside Disneyland park. It only works on select days. For us, we used ours on Tuesday. Magic Morning is great! While it is often a perk included with staying at a Disneyland Resort hotel, you can also get Magic Morning with 3, 4, and 5 day passes – so don't let that be the tipping point between staying somewhere expensive or not. Park Hopper passes are about an extra $40 per ticket. With a Park Hopper you can bounce back and forth between Disneyland and California Adventure within the same day. The two parks are right next to each other; their front gates face each other. We decided to NOT do these Park Hopper passes, and in the end, we are all glad we didn't do them! Cost was part of it. For the 9 of us (7 adults + 2 kids) it would have cost an extra $360! Ultimately, we just felt like it wasn't needed. We did 1 park per day and barely got to do all we wanted to do. Plus, the parks are HUGE! By bouncing back and forth I feel like we would have wasted lots of time walking. I'm not sure if I feel the need to ever buy a park hopper. Maybe if we bought 5 day passes, or maybe if we had teenagers that were old enough to go off on their own, since California Adventure has more thrilling rides for older kids/adults. But in my opinion, if I'm going to pay that much money I would want to stay together as a family and create memories together. But that's just me. Either way, we were all happy with how we did it. Yes, it's possible to get a discount on Disney tickets! 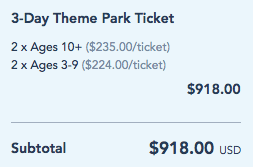 However, going back to the fact that there is no “cheap” way to do Disney, understand ahead of time that the discounts aren't earth shattering. But hey, every dollar counts right? My mom got a discount through AAA. For the 8 passes she bought (my little bro is local and bought a season pass instead) it saved her $100. Get Away Today is a travel company that offers discounted tickets, and recently offered up to $26 off per ticket as mentioned here. You can buy a SoCal City Pass which gives you up to 25% off admission to 3 different parks. 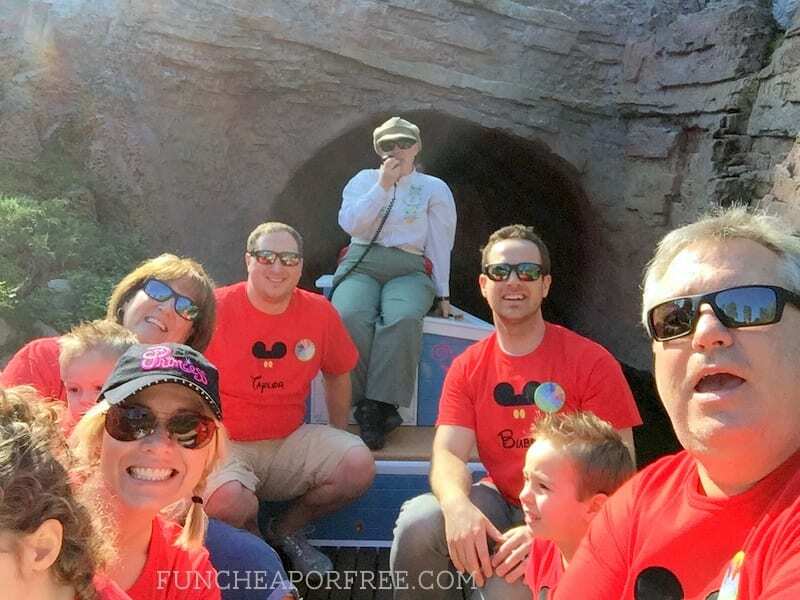 Disney cast members get 16 free passes per year. Know a friend? Call them up! Military discounts! They are awesome, according to many military freebs who chimed in on social media. Sams Club sometimes sells discounted Disney gift cards. If you live in Southern California special discounted tickets are offered on occasion. Timeshare presentations! 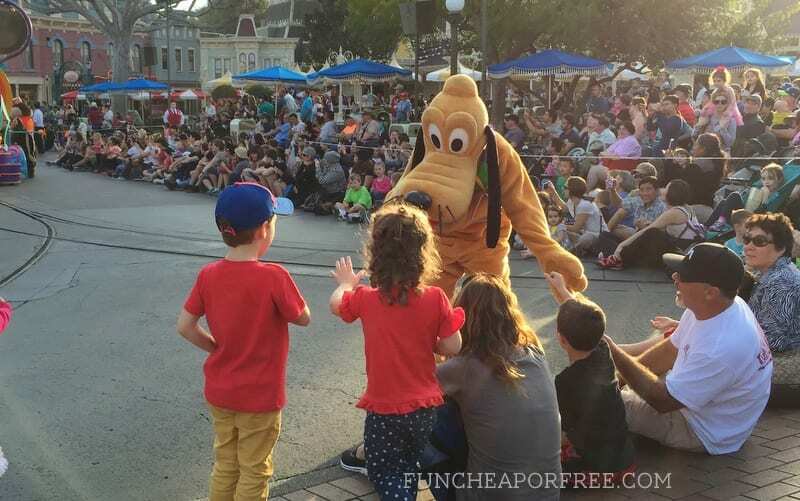 They are excruciating and you have to say no about 50 times, but a reader said she got 4 free tickets for attending one at a hotel near Disneyland! For details on these, you'll have to go to Google because most of these are tips given from readers. See even more ideas from amazing Freebs like yourself on this Instagram post, and this Facebook post. For us, this was a family reunion and we all had to travel in, so we decided to make a full week out of it (7 days for us, 5 days for everyone else). As mentioned before, we did 3 day tickets with no Park Hopper passes. I asked around A LOT and almost everyone said 3 days was plenty. Guess what? We did 2 days at Disneyland, 1 day at California adventure. Our group ranged from 2 months old to 58 years old (sorry Dad) and 3 days was perfect for everyone. In fact, our kids (who are 5 and younger) could've been happy stopping after 2 days. Keep reading down a few sections to see how our week itinerary looked, and why we did it the way we did. Where should we stay at Disneyland? 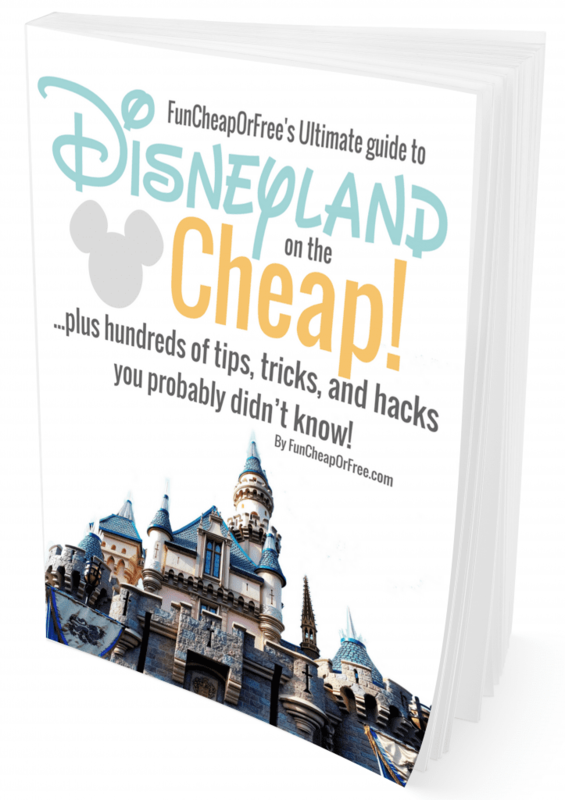 I'm going to be honest…I'm pretty novice when it comes to hotel prices at Disneyland. I know you can buy package vacations through Disney hotels, which gives perks like more Extra Magic Hour (sorta the same as Magic Morning), arcade tokens to use in the hotel arcade, a shuttle to/from the park, etc. If you do that, I trust Get Away Today. I've worked with them before and they are awesome and legit. I did some searching and you'd be lucky to get even a cheap-o hotel around Disneyland for $150/night. *DEAL ALERT* If you book your stay with Get Away Today you can book your trip with their layaway plan with a small down payment. We recommend Condo stays. HANDS DOWN. Why we chose a condo. My family has ALWAYS been a vacation condo/rental house kind-of-a-family. It's roomier, more comfortable (especially for 6 or 7 nights), has a kitchen so you aren't forced to eat out every meal, is more fun for kids, typically has a yard and/or pool of some kind, and typically comes stocked with beach toys, beach chairs, toys, movies, board games and some even have bikes and strollers. Not to mention it tends to be cheaper!! Our Suite Escapes Condo was amazing. 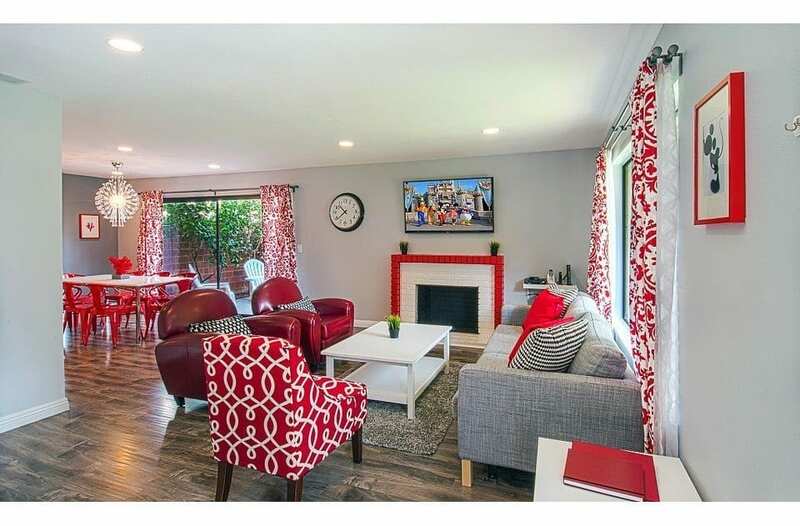 It had 3 bedrooms, 2.5 baths, full kitchen, garage, walking distance from the park, and came with everything you can imagine: 2 pack-n-plays, a double AND single stroller, board games, umbrellas, shows already recorded to the DVR, 2 air mattresses, and even a closet of Princess dress-up dresses. When I say everything, I mean everything.). Good news! I approached them about a discount for you (of course), so tell Suite Escapes you heard about them from this blog and they may be able to offer you an extra $10 off per night!! You just need to like them on Facebook and follow them on Instagram for the discount. Easy peasy. If you are more of a hotel-stay kind of family, Get Away Today has hotels that are similar to a condo-stay, in that you can have space to stretch out; but different in that they offer more hotel conveniences. These hotels offer kitchens, free breakfast, maid service, grocery pick up and so much more. Could be a nice alternative if you are looking for more of a hassle-free stay! I say “ish” because I had to estimate and round on some of this (and might've missed something), but at least you get a good idea. I'm sure there are ways to do it even cheaper than we did, but since we were with a large group we didn't want to drag everyone down or hold anyone back, so we feel we did pretty well considering! FLIGHTS: If were to have flown from Utah – $130 each way, per person on average for February it would have been $1,300. We packed lunches and snacks that we ate in the car on the drive, so we never had to buy food on our drive on the way there. On the way home we bought lunch and dinner. The base total was $1,183, but split between our 3 families, our share was $611.66 (we were there 2 nights longer than everyone else). Read the fine print because there are always cleaning fees and potentially other fees. Again, we went on off-peak times. It goes up to $260/night depending on the time of year. Again, tell Suite Escapes you heard about them from this blog and they'll give you an extra $10 off per night for any bookings for any dates, as long as the booking is made by April 30!!! You just need to like them on Facebook and follow them on Instagram for the discount. Easy peasy. This included groceries [we bought most groceries for all 11 of us], souvenirs, gifts for the kids, trip prep items, etc. See PART 2 for a further breakdown of this. We ate lunch and dinner in the park, and packed snacks for the kids but usually bought at least 1 snack or treat inside the park. Hey, it's a long day! It was roughly $10 per person, per meal + snacks or drinks throughout the day. We will have more on this in PART 3, but we told our kids they could pick out one souvenir each, and budgeted for $50 per kid (excluding the baby). We were almost dead on with the $50. The rest of the $200 covered my Christmas ornament souveniers that I insist on buying everywhere we go, and Mickey necklaces for the ladies. We could've walked from our Condo (my brother/SIL did one day) or taken a shuttle, but with our kids and all the stuff we packed, we opted to park…and are glad we did. It might've been fun at the beginning of the day, but the end of the day would have been a nightmare. Don't forget to factor in dog sitting, and/or babysitting! We have a huge dog (follow #PoorChubbyOllie on Instagram!). Kenneling him would've cost $30/day, or $210 (and he HATES being kenneled). We opted to hire a young couple to house sit/dog sit for us. It included two 30-minute walks per day, feeding Ollie, grabbing our mail, watering our plants, and keeping our house safe. They had free range of our house and food + $130 in exchange. It was a win-win for everyone! I will cover this more in PART 3. But by Friday (our last day in the parks) our kids were done-zo. It had been a long week and by 3pm they were all having epic meltdowns (quite literally). We called a friend we knew that lived 15 minutes away and had her babysit the kids at the condo for us so they could nap and veg out, while us adults enjoyed riding some final adult rides and having some sibling/parent bonding time. It was expensive ($12/hr is what I paid) but it ended up being great money spent. It was a splurge but allowed us to enjoy every moment of our final day in the parks! Again, come back to PART 3 for more details on this. As you'll see in the video to be shown in PART 2, it's tradition that we have a cleaning crew deep-clean our house, top to bottom, while we're gone on vacation. In my opinion, it's the best money we spend. Our house gets TRASHED when prepping for a trip and it's all I can do to stay on top of the surface mess. To come home to sparkling floors (and everything else) is dreamy. Splurge? Totally. Worth it? Um…yeeeehhhhsssss. My mom surprised us all with adorable matching shirts. She ordered them off of etsy and they were personalized, embroidered, and very high quality. They cost her an arm and a leg (as hand-made items do! ), but really were such a fun touch! I, personally, would probably just opt for matching t-shirts from Walmart or something. However you do it, be sure to factor that in to your trip budget if it's something you want to do! Remember, costs for flights, parking and admission tickets change but this should give you a good place to start saving and budgeting. That's where the book, Disneyland On Any Budget comes in. I believe where there's a will, there's a way. Keep in mind, if your family has urgent debt such as credit card debt, overdue bills, or other pressing issues, I recommend doing the responsible thing and putting every dime you have toward those debts until they are paid off. Get them off your chest and out of your hair, THEN enjoy Disneyland as a family. It may delay the trip by a year (or a few) but again, Disneyland isn't going anywhere, I promise! Have your kids earn enough to pay for their own park passes. Mow lawns, babysit, save their allowance and work it off, get them involved and take the pressure off you as a family! The more they contribute, the more special the trip will be for them. My kids are saving up for a dirt bike and trampoline right now…and they are only 5 and 3! I'll post about it soon if you're interested, but get the scoop on Instagram for the time being. In general, here's how I track my budget each week. For Disneyland savings, I have created a simple spreadsheet that you can use. I made a page for monthly, weekly, or daily savings, so you can decide how you'd prefer to track it. First, GO HERE. Click FILE > MAKE A COPY. Rename the copy and save it as your own Google doc. Now you can edit and customize your sheet. 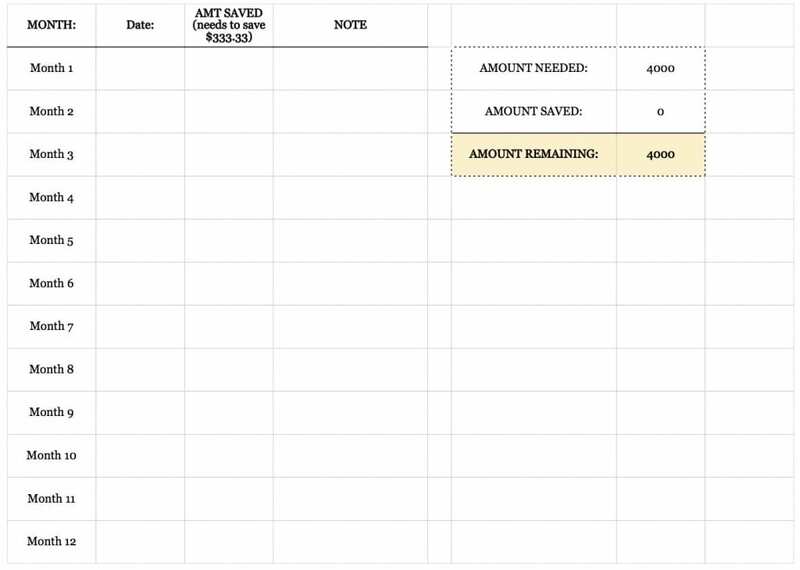 Fill in your amount if different than $4,000, do the math to figure out how much you'd need to save each day/week/month, and edit the sheet accordingly. As you fill in the amount you save each day/week/month, it will automatically calculate how much you have left to save in the AMOUNT REMAINING box. If it doesn't work for some reason, click HELP and type in what you're trying to do to see a Google Docs tutorial (or YouTube it. I swear that solves all my life problems…). Get your kids involved in saving! Our oldest child is only 5, but we got them investing – literally – in Disneyland regardless. About 8 months prior to our trip we made a Disneyland jar which was once cute but became a fatality of slippery 3 year old fingers…so we opted for a plain Jane jar. We told the kids that once they reached the top line of the jar (just under the printed “Prego” on the glass), we could go to Disneyland! 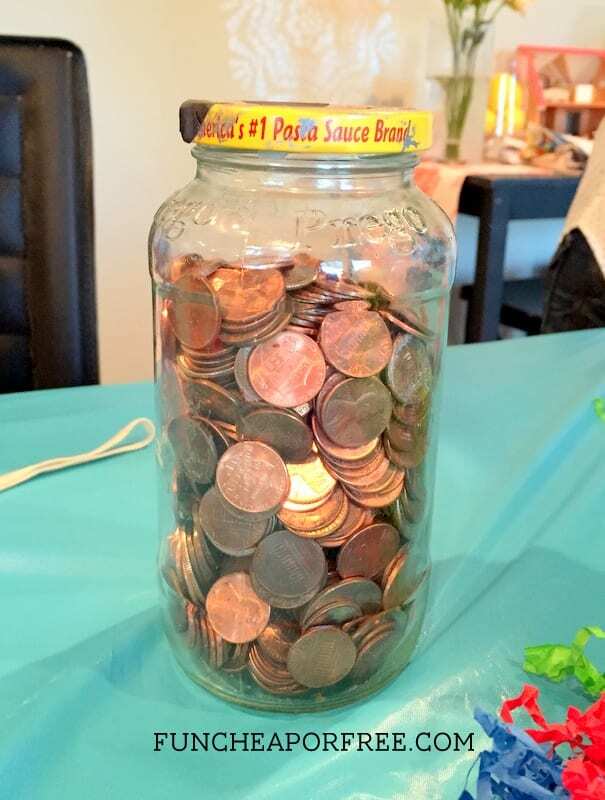 The kids earned pennies almost every day by helping around the house, exhibiting good behavior, being extra helpful, doing additional chores, doing well in school, practicing piano, etc. It was a great motivator for them. Once they finished earning the pennies, they screamed, hollered, and were on cloud 9 for about 2 days. They couldn't believe they did it! 8 months is a long time, even for me! I was proud of them and they really earned every moment of fun they had. Be sure to get your family involved, no matter the age! …the more you work for something (and the longer you have to wait for it), the more special and memorable it will be. 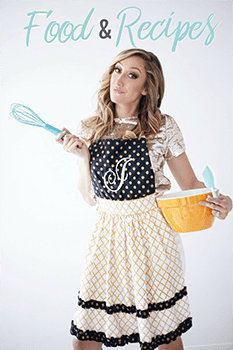 A big question we had as a family was…how should we space our our week? Do all 3 park days back to back at the beginning? Every-other day? Back-to-back at the end of the week? Sunday: We arrive at the condo (we drove and got in 1 day before everyone else). Monday: Everyone else arrives. Grocery shop, get settled, go to bed early. Wednesday: Day off. Sleep in, nap, swim, grocery shop, Downtown Disney. Saturday: Everyone else flies home. We drove in on a Sunday because it takes us all day (12 hours) to drive. We got in late and didn't want to have to turn around and wake up early and hit Disney the next morning. We wanted 1 buffer day and are glad we had one. Everyone else flew in on a Monday because it was considerably cheaper. We did Disneyland first (Tuesday) because we had decided to do Disneyland 2x (and California Adventure only 1x) since Disneyland is the bigger park with more shows, parades, rides, and attractions. Especially for little kids. We decided to use our Magic Morning on this day. Wednesday: Initially we had planned to do California Adventure on this day. But after seeing how exhausting a full day at Disney is with little kids, we decided to take a day off. BOOOOOY am I glad we did. We were miserably tired. There's no way we could've done 2 full days in a row. Thursday: Woke up early and had a full day at California Adventure. Friday: Our one non-negotiable was to hit up Disneyland on this day. Why? Many rides are closed for updating and repair during the slower times of year (see next section). A few rides were opening back up specifically on Friday, and we wanted to take advantage. Saturday: Everyone else flew home. We hit the pool and hung out as a family, cleaned the condo and packed. Recover and rest before the long drive. Sure, you'd have to pull your kids out of school to go those times. My kids are in Preschool right now so I can't relate to anyone with kids in Jr High or High School. All I know is that my parents weren't afraid to pull us out of school for vacations or experiences, and it never hurt me academically in the long run (I was valedictorian, as proof). This goes back to the “Doing Disney right and getting the most out of it” mindset. If you go during peak times, you WILL spend most of your time waiting in line. There's no getting around it, no matter how many fast passes or park days you have. For the money we were spending on this trip we decided our priority was to take off work/ditch school and go during the least busy time so as to spend as much time riding rides and having fun as possible. Again, trying to get the most out of every dollar. Not telling you that you are right or wrong for not pulling your kids out of school, that is a very personal decision. I'm just trying to be devil's advocate so you can make the best decisions regarding your investment (yes, Disneyland is an investment). We went the first week of February (Feb 1-7) and it. was. AWESOME. The longest line we waited in was maybe 30 minutes (the Dumbo ride at Disneyland, and the Radiator Springs ride at California Adventure). Most were more 10-15 on average. It was FRIGGIN FANTASTIC! It allowed us to take our time, enjoy long lunches, shows, and parades, while still being able to ride everything we wanted to ride at least once. If you want help planning your time to maximize your time at the Parks, Get Away Today offers pre-made itineraries for different kinds of fans! From little kids, to big kids, to adult thrill-seekers, they help you lay out your trip to get the most enjoyment with your crew! Such a handy tool to have if you aren't a Disney-loving crazy person like me! Buy, borrow, or loan (from the library) a Disney guide. Tip? Make sure it's current to that year, and make sure it's an UNOFFICIAL guide. That means it's not written or sponsored by Disney, so there won't be biases in the book. Ask friends who have been there! 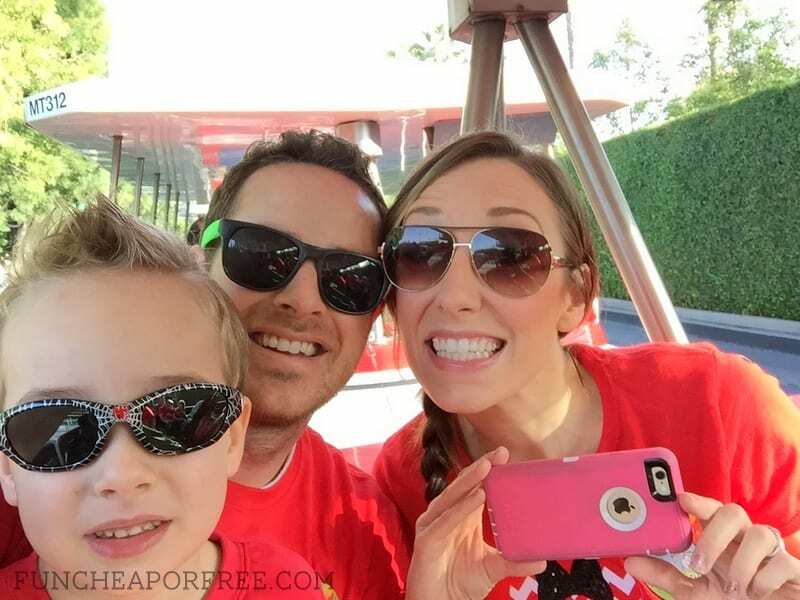 Check out all these amazing bloggers with FABULOUS Disneyland posts while you're at it! 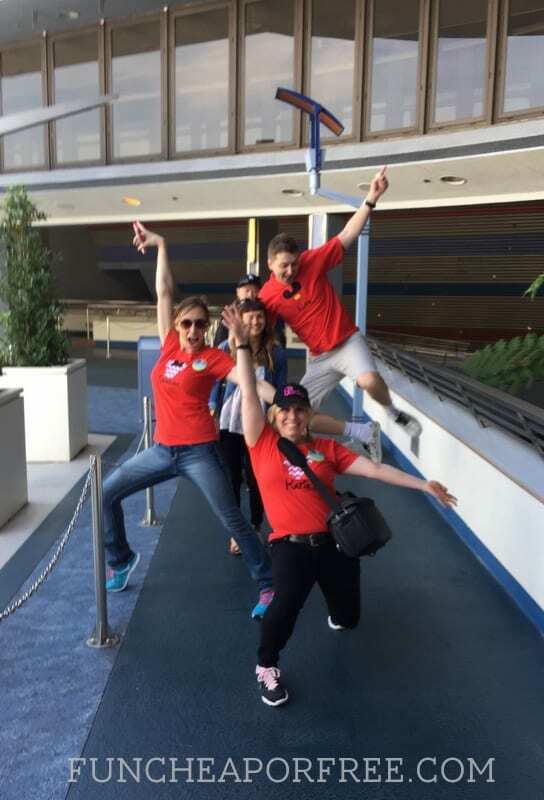 I am a lifelong Disneyland AP holder and a couple more tips: If you volunteer to work the Disney Run races you get a free 1 day park hopper ticket. Get your family to volunteer at one a few months before your trip and voila! Free admission. I totally second your tip on condos. My good friends run http://anaheimcastlehouse.com/ and they have awesome houses all decked out in Disney style! All of them are in Anaheim and most are within walking distance. I agree on the nanny part. If you know someone local who can come watch kiddos at night while you go on a “date” back to the park or can help with kids in the park awesome. If not, my friend Nanny in the Kingdom (look up on Facebook or here http://nannyinthekingdom.blogspot.com/) is like Mary Poppins at Disneyland. She’s amazing! We have 2 special needs children and hire her every time we do a full day. It’s like having Grandma with you in the sense of how loving and awesome she is, but she’s totally there to help YOU with whatever you need. Fast passes? Walk around a sleeping kid in the stroller? Kid needs to run to the bathroom while in line? You want to go on a “big kid” ride but the baby isn’t big enough? So many things! Love the additional tips!! Thanks for sharing, and keep them coming! Great tips! I also have 4 kids (ages 6-16) and we are Disney addicts. In fact, I became a Disney cast member 4 years ago to help with our Disneyland addictions and I love my company so much that I’m full time now! Just wanted to correct one (pretty small) statement. Cast members can take guests in up to 16 times/year. For a So Cal cast member, it’s not a lot. For Seattle-ites like me, it’s great! And we pull our kids out of school twice a year to go to The Happiest Place on Earth! Looking forward to your part 2! Wow. Thank you so much for putting this together. I have never been to Disneyland, but my husband and I want to take our family of 7 boys sometime soon. This is something I will reference over and over again. It was a lot of fun looking at the pictures you posted on this article. I am a long- time friend of your sister-in-law. She and I went to Jr High and High School together. My family has traveled to Disney World in Orlando a few times and have taken advantage of Later August, early September deals. A lot of times they will throw in their dining plans for free! Who doesn’t like to eat for free! and you get the slower season rates and less lines to wait in! It’s still warm and hot but that makes the pool adventures awesome too! We organize around a weekend and try to take the kids out of school only 2 days or so. The family times and experiences are treasured! Thanks for including us in your vacation. Looks like you had a wonderful time! Yes, we had a great time 🙂 Thanks for reading! we were all booked at Howard Johnson’s until we read your blog. Thanks for all the tips . We aren’t saving any money by changing to the condo, but I am much happier with the accommodations . Thank you so much! Put on my Disney Pandora, got out some popcorn and sat down to read this. I loved this post, so much cool and helpful information! Personally, we have always gone to Disneyworld in Orlando (slightly closer drive for us. Though honestly it’s the difference between a 24 hour drive and a 30 hr drive so really not that big of a difference). Anyway it was great reading all the hints and tips. I recently went on a trip as well to Universal Orlando and the Wizarding World of Harry Potter. It was just my boyfriend and I and we had to go over spring break (due to college for me). So even though it was peak time we still only waited an hour at most for maybe two or three rides. Anyway, we budgeted for our trip and spend just over 750 a person (that is with 4 days in the park, staying at a hotel within walking distance, and eating in the park). That experience plus this post gives me hope that vacations will be possible in the future when I have a family. I think vacations are such an important investment and were some of my favorite parts of my childhood. Anyway, sorry for the long comment (I guess I am trying to keep up with the post). Awesome post, thanks for sharing and I can’t wait for the next parts. And hopefully more details on Europe!! I just did the Disney Princess Enchanted 10k at Disney World and they don’t do discount tickets to runners. I have heard that it is either a thing of the past or only done for certain race weekends. It was a very expensive trip. The airlines for sure knew that it was a big weekend for Disney (the races had thousands of runners) and even 7 months before the race the prices were jacked up for that specific weekend – the weekends before and after we’re heaps cheaper to fly! I enjoyed the race and it was definitely an experience but I chose to save money not even going to the park. The day before the race we went to the expo and saw a couple characters and had lots of photo ops, got to hear one of my favorite biggest loser contestants speak and then we went to downtown Disney to walk around. The race is a Disney experience in itself and you should definitely do one if you want to and it’s not necessary to go to the park to make the experience complete because it already is with the race alone. Thanks for all your tips and the cost breakdown! We are starting to save for Disneyland. I shop at Smith’s for groceries and every week I grab a Disney gift card and put the minimum amount on it, and at Smith’s you get 2X the fuel points for gift card purchases (some weeks 4X), and we add to our Disneyland jar. The card makes it nice so you don’t get tempted to grab the cash and go spend it elsewhere. I loved your tip on getting your house cleaned while on vacation. I’ve never thought about that, but that would change my world. We are leaving for Disneyland next week and I’m wondering which cleaning service you use and how you arrange for them to get in and out of your house while you’re gone. Thanks and thanks for all the great info! It’s the best! I just use a friend of a friend, but check groupon – they always have deals! Thanks so much for this post. I consider myself a semi-expert. I’ve done a lot of Disneyland trips. Taking a family however, is new to me. I love your ideas and will probably look into the condos. Thanks again! Awesome thanks! 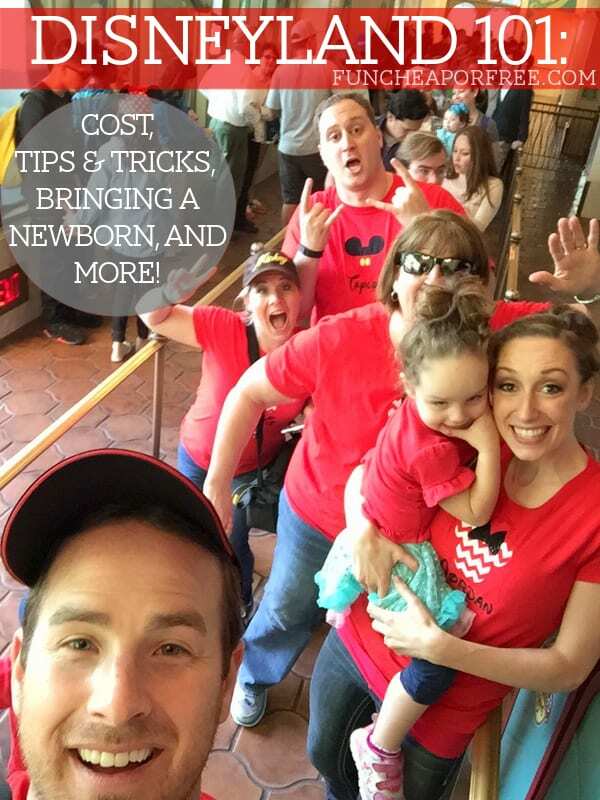 Any additional Disney tips you can share with us that I might’ve missed? OMG….Thanks for this post. 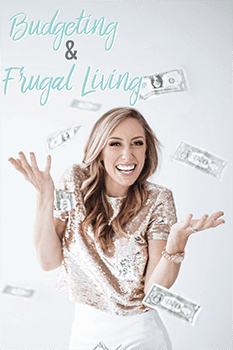 I’ve done so much research to find a cost effective way and this post was very helpful. Thank you! Your posts about Disneyland are awesome! 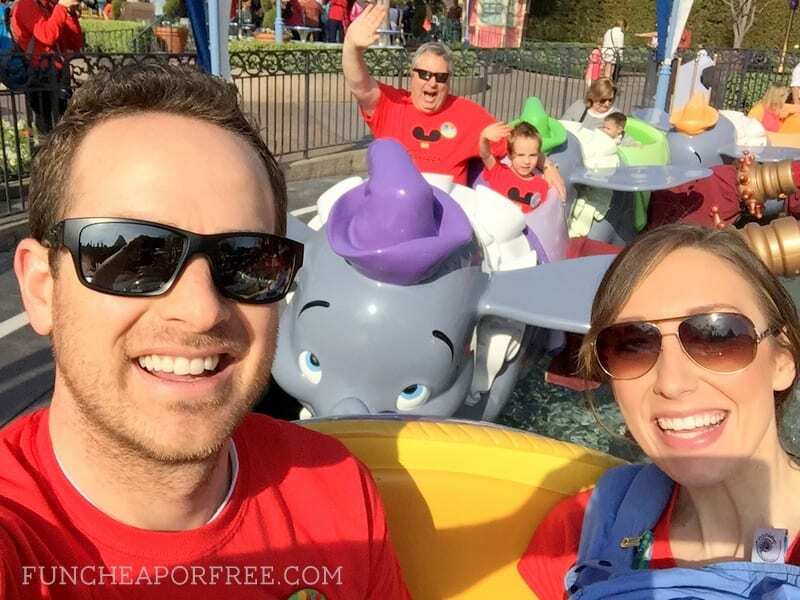 We have been to Disney many times over the years and all your tips and suggestions are great! I even learned a few new things I didn’t know!But I wanted to let you know that selfie-sticks are no longer allowed in the parks. We just went last week and there were signs and announcements all over the place. I’m sure too many people were not being smart with them. 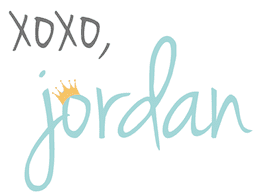 Anyways, great posts and I am passing these on to others on my blog too! But, in my opinion, if you are not comfortable, not going to Disney World could be an answer. I know cast members who get asked for tickets ALL THE TIME. And they don’t generally like it. People they haven’t seen or heard from in years ask them for tickets. I wouldn’t suggest doing this unless they offer first. Such good insight, thanks Melody! Another way to help save is with the disney credit card. We use it for any big purchases which we immediately pay off and used to for my monthly budget which we would pay off at the end of each month (but we now use the Costco citi card for monthly budget purchases). We earn 1% disney dollars with every puchase. You can trade it in for a disney card that you can spend on all things disney including food, merchandise, and park tickets. We always earn several hundred dollars each year just from that alone. We also stay at condos because we had 5 kids in 5 years (oldest is now 7, youngest is now 20 months). We eat breakfast at the condo, pack a lunch with sandwiches and tons of snacks and drinks and just eat dinner at the park. We like pasta at pizza port because we can split 1 plate up for all 5 kids! I absolutely agree haha. 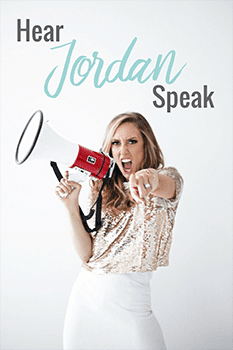 This was a great read, thanks for sharing! So many things I did not know! Thank you! 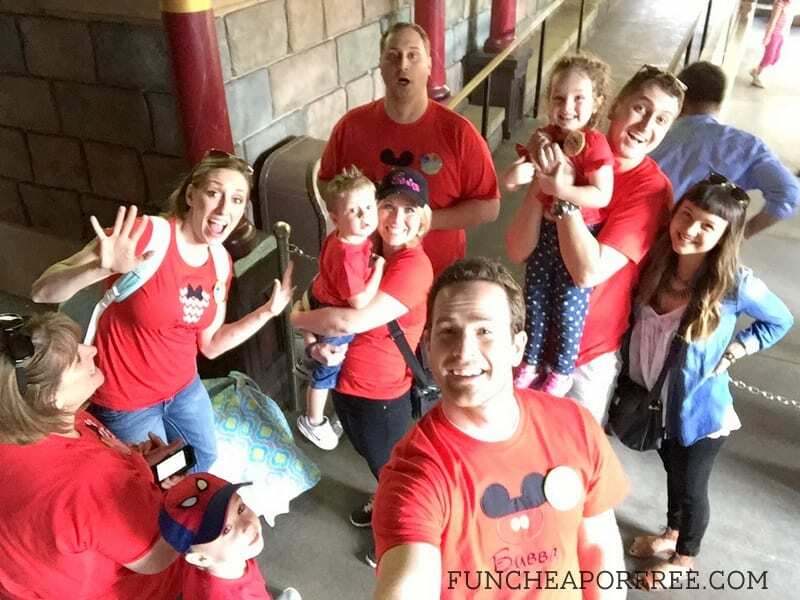 Were taking our two kids (4 &7) to Disney land for the first time in April, Ive used your Disney posts for everything to get organized for our trip. 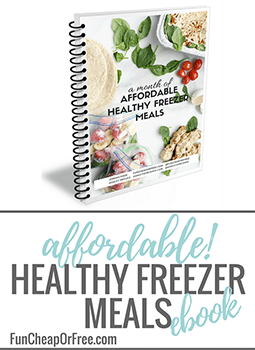 And to plan out our budget, My husband was pretty impressed when I showed him and because he has so much confidence in me asked ” did you get this budget info from that funcheap chick” lol I might be just a little obsessed with you! Lot’s of great tips/ideas here! Thanks for sharing! We booked suite escapes for April. SO excited! Surprising our daughter with disneyland on her 8th birthday! You said you had 3 families stay in your condo. Did you have to get any special permission for that to happen? We never travel and want to plan a Disneyland trip with family and we would love to split the cost. I have a large family though and always worry that we will be told there are too many of us. So any tips you have for this would be great. Thanks.